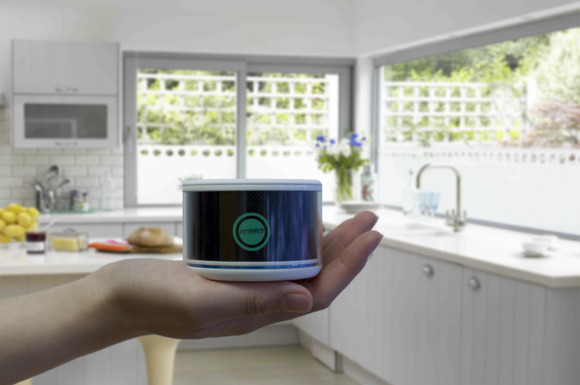 Ecomo's smart water filter fits on faucets, mugs, or bottles. It analyzes the water for impurities and then recommends which type of filter you should use to remove them. Most on-the-spot water-purification systems take a one-size-fits-most approach: their filters are designed to remove a broad range of contaminants, but you might still end up drinking less-than-pure water because you don’t really know what’s in it. 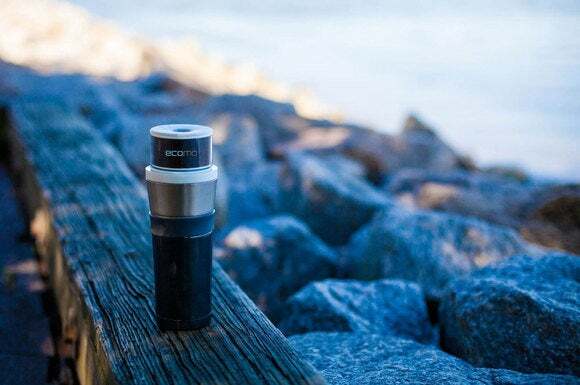 Technology startup Ecomo aims to change that with a “smart” filter that analyzes the water and sends a report to your smartphone (via Bluetooth). The report tells you just what’s in the water and makes a recommendation as to the type of filter you should use to clean it. Ecomo will detect several types of contaminants, including heavy metals, turbidity (the presence of particulate matter), total dissolved solids, bacteria, total organic carbon, and pH (a measure of acidity versus alkalinity). Using the Ecomo will be a two-step process in which you run water through the sensor once to analyze its properties, and then a second time with the recommended filter before you drink it. An LED on the solar-powered sensor glows green, yellow, or red to inform you if the water is safe to drink, and the app will deliver the results of the sensor’s analysis and recommend which filter to use. The Ecomo will analyze your water and issue a recommendation for how it should be filtered (filters will be sold separately, or you can supply your own). Ecomo intends to sell membrane, activated carbon, and ion-exchange resin filters, among others, as an add-on products, or you can use your own. Either way, the sensor’s analysis should deliver more peace of mind when drinking filtered water than just hoping you were able to remove everything bad. It will be some time, however, before you’ll be able to pack an Ecomo for your next trek to the Amazon. Ecomo is presenting its smart water filter today at at the Launch Festival in San Francisco, and will then start a Kickstarter campaign to raise funds for further development and initial manufacturing. The product won’t reach the market until late this year at the earliest; and if it follows the trajectory of most new launches, that won’t happen until sometime in 2017. The story behind the story: While established companies like Brita are coming out with Wi-Fi-enabled filtration devices that can order new filters on their own, no one has really focused on what is making your water dirty. While the Ecomo can’t automatically clean the water for you, at least you’ll be able to know what’s in it before you chug it.